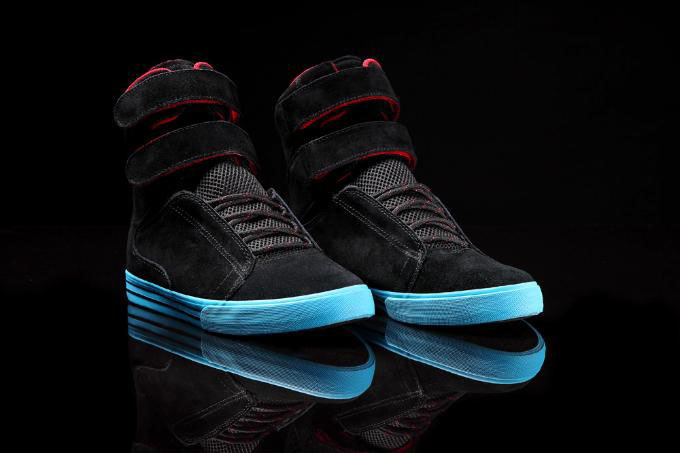 Supra introduces Terry Kennedy's Society pro model in a new colorway known as "Wyland," an all-black suede affair with splashes of vibrant color pop throughout. 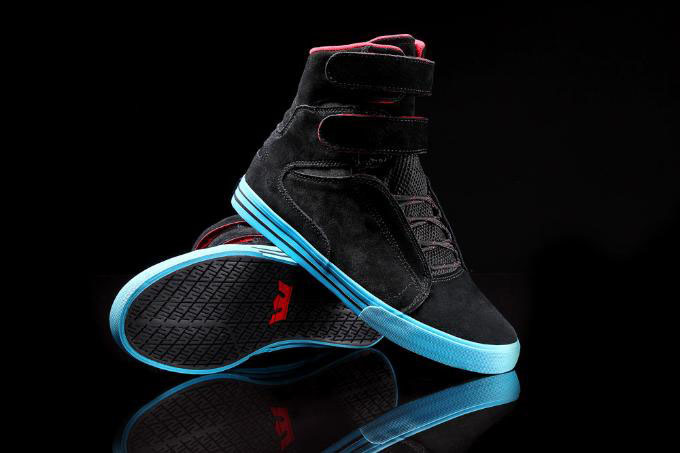 Supra introduces Terry Kennedy's Society pro model in a new colorway known as "Wyland," an all-black suede affair with splashes of vibrant color pop throughout. 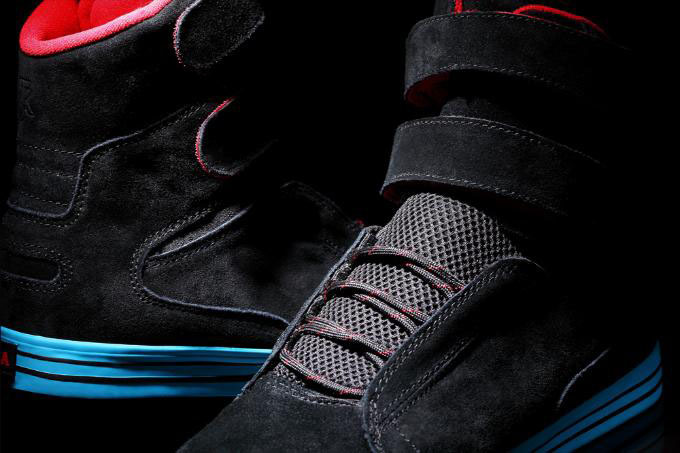 The shoe sports a black mesh tongue and black rope laces, along with a contrasting red padded mesh lining. 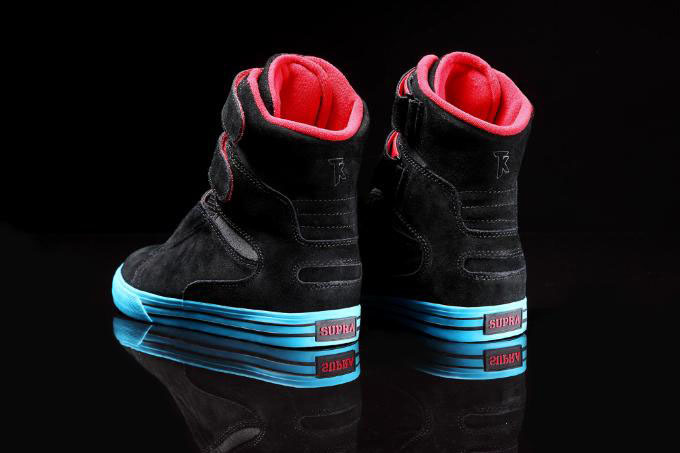 Sitting below is a black vulcanized sole wrapped in fluorescent blue foxing and black pinstripes. The "Wyland" Society is available now at Supra Footwear and skate retailers worldwide.